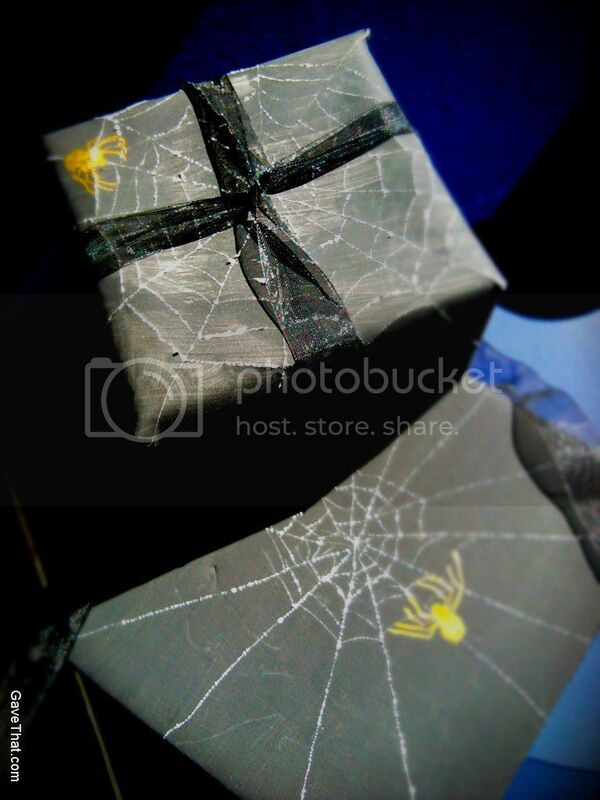 Here's how to make your own wrapping paper and favor boxes covered in gleaming spiders web, inspired by an old technique leaned from a Hungarian watercolorist. The best part, I love how it can be used on recycled materials and as quick decorations! 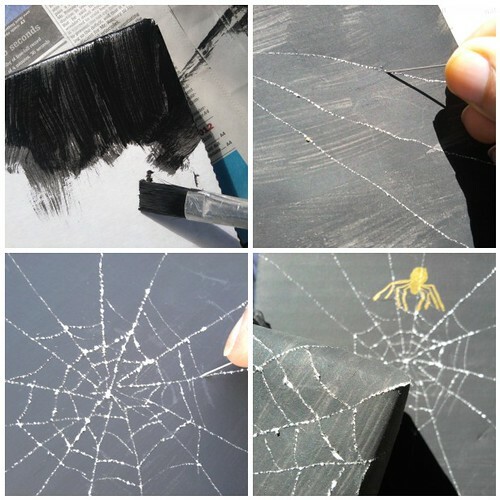 1) Use 1 or 2 coats of black paint to build up the level of coverage that you want. Allow it to fully dray. 2) Taking the needle or pin start to drag it across the painted surface, first to create straight lines and then going back in and creating the webbing between. 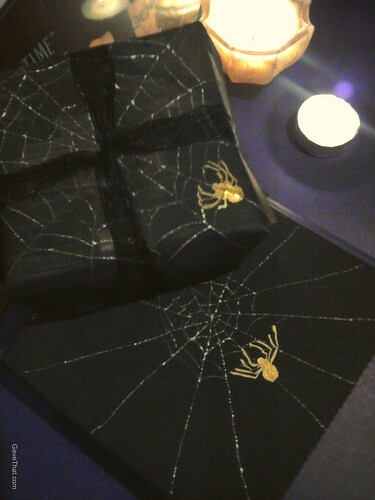 3) Add a spider if you like, mine here was done with a gold paint pen. 4) Adding a layer of clear coat or hair spray over the top can help everything stay in place and be more easily handled. For more gift design inspiration visit the gift wrapping area of the blog here.